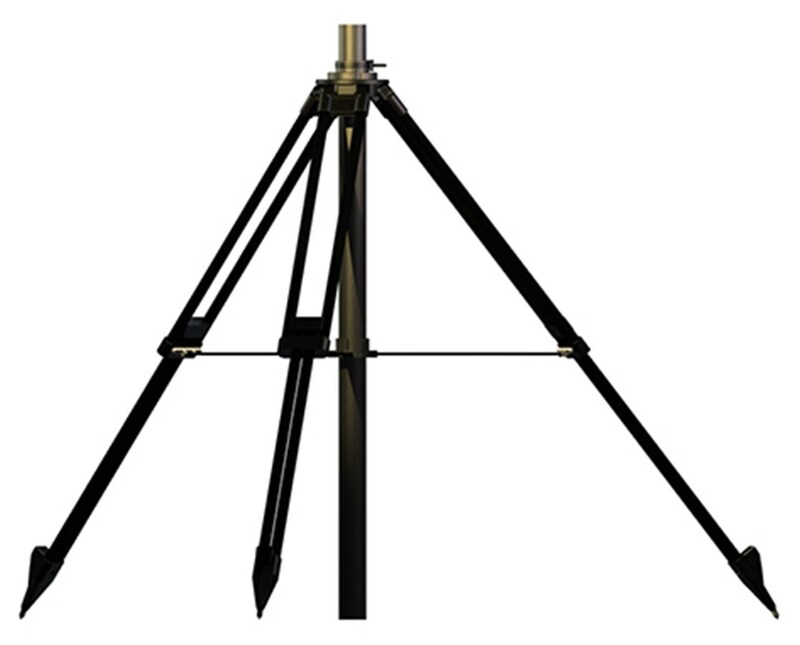 The Dutch Hill Heavy-Duty Military Tripod is a reliable mounting tool designed for attaching sensors, antennas, and other instruments. Ideal for rugged, uneven surfaces, its adjustable legs accommodate terrain variations of up to 21 inches. It provides a fixed elevation of 54 inches with its 2.5-inch diameter center column. Featuring an aluminum leg retainer with compression clamp locking system, this Dutch Hill military tripod is highly stable. It is equipped with pointed steel feet that allow it to stand steadily while in use. With its built-in circular bubble level and plumb bob hook, it ensures accurate leveling and aligning at all times. 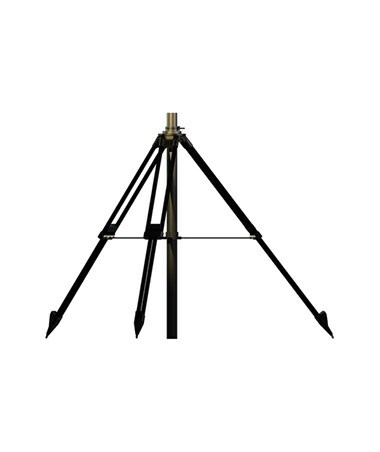 The Dutch Hill Heavy-Duty Military Tripod is built for durability and long-lasting performance with its stainless steel hardware that resists corrosion. It also comes with black oxide coating for additional protection and minimized light reflection. For convenient storage and easy transport, it includes a shoulder strap.